Nancy Kauffmann of Goshen, Indiana has long been a pioneer as a woman in congregational and denominational leadership. So it’s not surprising that a painting by Chilean artist Daniel Cariola in a chapel next to the Sea of Galilee caught her attention. “Why did Jesus call out the woman who touched him? Why embarrass her in front of the crowd? Jesus could have let her quietly slip away. She had risked being humiliated, since Rabbinic law considered her untouchable due her blood issue. For twelve years she had suffered, spent all her money on doctors, and had to be desperate. Yet she believed that by touching Jesus she would be healed. “By Jesus calling her out, he legitimized her. He brought her from the margins to the center of the community. He affirmed her boldness to ignore the law and risk touching him. Jesus called her daughter, signifying her place in the family of God. Instead of ignoring or rejecting her, Jesus invited the woman to talk, and blessed her. “Jesus constantly engaged women in theological discussion: the woman at Jacob’s well (John 4), or the Canaanite woman begging Jesus to heal her daughter and countering his hesitation to heal outside of Israel by saying, ‘Even the dogs get crumbs under the table’ (Matthew 15). Compared to how society treated women, Jesus engaged and affirmed them for their thoughts and their faith. He stood up for them in public—including the woman ‘caught in adultery’ (John 8; heaven knows where the partner was), or the woman who put perfume on his feet (Luke 7). “Women could not give witness in court, and often their word was/is dismissed. Yet the risen Christ showed himself to women first. They then go back to the men to announce that Jesus is risen. Jesus himself told Mary Magdalene to proclaim the news! She had to be brave to go to the tomb in the first place in spite of what religious and civil authorities had done to him. Experience the “fifth Gospel,” the lands where so much biblical drama unfolded! Join Audrey Voth Petkau and me for a “Journey of Hope” tour of Jordan, Palestine and Israel on September 12-23, 2019 (https://www.tourmagination.com/tour/2019-jordan-palestine-israel/ ). In Jordan we’ll learn about the Israelites’ trek toward the Promised Land as we visit World Heritage site Petra and survey Canaan from Mount Nebo. We’ll see the site at the Jordan River where God parted the waters, and Machaerus fortress where John the Baptist died. In Israel/Palestine, we’ll learn about the life and times of Jesus in a replica of first-century Nazareth. We’ll sing carols at Bethlehem, sail on the Sea of Galilee, view Jerusalem from the Mount of Olives, visit multiple sites in the Holy City itself, and see Caesarea where Peter shared the gospel with Cornelius. Reflect with others on themes of mission and reconciliation–including justice issues of Israel and Palestine—as we travel and worship together. For centuries, popular portraits of Mary Magdalene made her out to be a prostitute. She more likely was a woman of exceptional character and conviction. Luke says “seven demons” had gone out of Mary, perhaps indicating that she was a survivor of mental illness, abuse or trauma. Christian imagination unfairly conflated Mary Magdalene with the woman of suspect reputation who anointed Jesus’ feet (Luke 7:36–50). The synagogue found at Magdala has stone benches against the outside walls (in the far room), and some floor mosaics survive. 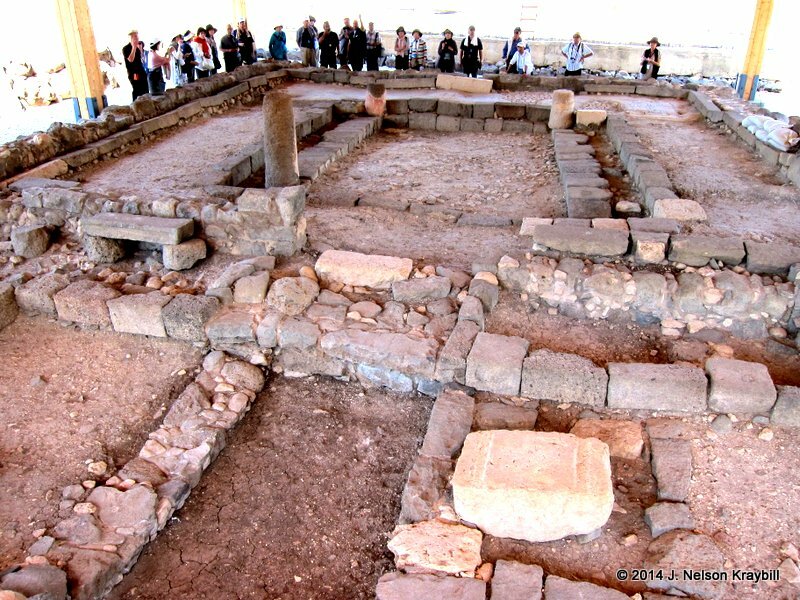 Archeologists recently excavated a place that Mary Magdalene probably knew well: a first-century synagogue at the village of Magdala on the west side of the Sea of Galilee. Discovered in 2009 when a hotel was under construction, the synagogue and adjacent buildings at last are open to the public. Only part of the floor and foundation of the synagogue are intact. But with just six synagogues from the biblical era remaining in all of Israel-Palestine, the place is priceless. 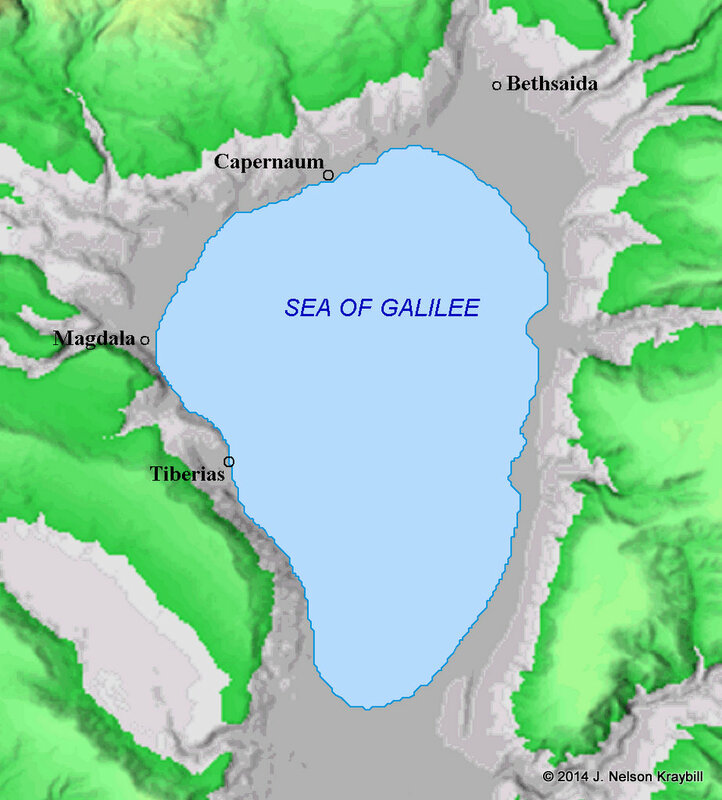 In the first century Magdala was a fishing village on the west shore of the Sea of Galilee. Jesus was based at Capernaum during his Galilean ministry. Disciples Philip, Andrew and Peter came from Bethsaida. We cannot be certain that Magdala was Mary’s hometown, but her name makes the connection probable. The Gospels tell of Mary’s extraordinary devotion to Jesus. She apparently was a person of some means who, along with other women, funded the itinerant ministry of Jesus and the twelve (Luke 8:1-3). Among the women financiers was none other than the wife of Chuza, the steward of Herod Antipas! Did “that fox” know his steward’s household was helping to fund Jesus? When the four Gospels name women disciples, Mary Magdalene usually comes first. She is the only disciple recorded as being present at the crucifixion, the burial, and the resurrection of Jesus. The Gospels of Mark and John indicate that the risen Christ appeared first to Mary Magdalene. She carried the news that Jesus was alive to the rest of the disciples in Jerusalem, an act for which Early Church authors called her the “apostle to the apostles.” Mary Magdalene was the first apostle. It is possible that Mary Magdalene and other women in the disciple band had their profiles diminished by a patriarchal church. Nowhere is such devaluation more evident than in the Gnostic Gospel of Thomas (second century AD). When Peter asks Jesus about Mary Magdalene’s role in the kingdom of God, this Gospel has Jesus say, “I shall lead her, that I may make her male, in order that she also may become a living spirit like you males. For every woman who makes herself male shall enter into the kingdom of heaven” (Gospel of Thomas 114). Let the church today repent of devaluing women as disciples and leaders. Let us restore Mary Magdalene to the position she deserves: the first apostle, the natural leader of the women who followed Jesus just like Peter was natural leader of the men.